Dais Global is the leader in supplying industrial equipment for the transfer of liquids and bulk. From its inception in 1999, Dais is continually expanding range of products and goods in stock. - Loading arms for LPG, bitumen and chemicals. 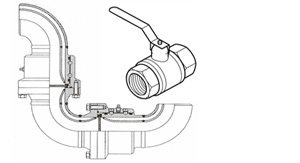 - Dispense valves to 12 ". Dual-stage and multistage. DAIS has his own service maintenance for all kind of tank trucks-LPG,diesel and gasoline,bitumen,chemicals,food stuff,bulk.DAIS is located in Sofia and Bourgas in Bulgaria,Beograd in Serbia,Bucurest in Romania.